In September 2008, Julian Carter and Tim Hart opened Hambleton Bakery to produce top quality traditionally made bread for Hambleton Hall and Hart’s Nottingham. Ten years later here at Hart’s we are still serving our complimentary bread basket to our customers to accompany their meal and also offer them the opportunity to take a loaf home with them! 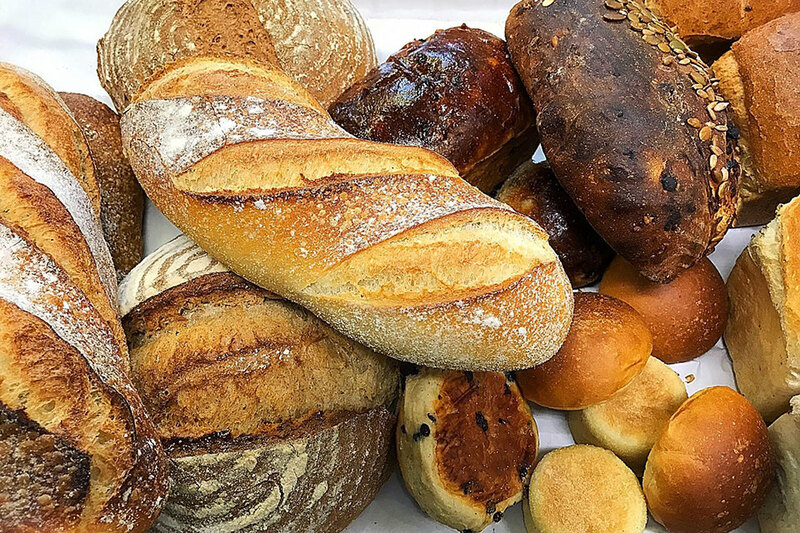 So, we decided to look into the benefits of sourdough over commercial baked bread that you would buy in the supermarket, so you have the confidence that when dining at Hart’s Nottingham you can be sure that only the best quality ingredients find their way on to our menus. What are the ingredients used in Hambleton Bakery sourdough? Just stoneground flour, water and salt – all the other unnatural ingredients that commercially produced bread include are eliminated. Cheap, industrially manufactured, processed bread relies on enzymes, preservatives, emulsifiers and improvers to bake bread at speed. These additives are also to blame for some people’s wheat intolerance. Our sourdough offers particular advantages to those who find that “sliced white” does not agree with them. The long fermentation and lack of additives delivers enhanced digestibility. We believe that the current preoccupation with gluten is misplaced; traditional breadmaking renders gluten harmless to all but coeliacs. When you next join us at Hart’s make sure you take a look at the selection of breads available from Hambleton Bakery. Once tasted the health benefits will convert you to ensuring you make this a regular stop. To find out more about Hambleton Bakery click HERE.